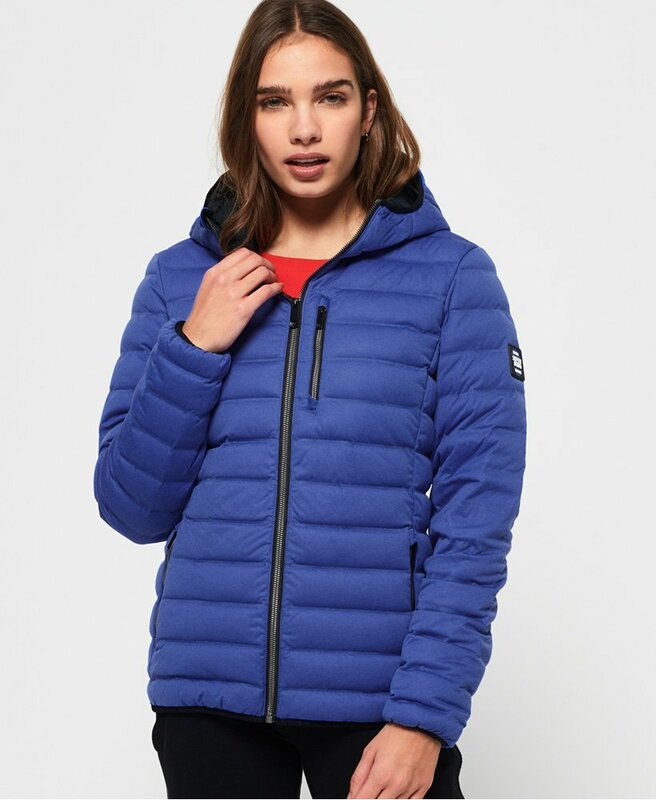 Superdry women's Contak down stretch jacket. This quilted, lightweight jacket is the perfect transitional piece, featuring a 90/10 premium duck down filling making it ideal to keep you warm in cold weather. The jacket also features an elasticated hood, cuffs and hem so the jacket can stays fitted to your body and keep the cold out. The Contak down stretch jacket also features a zip fastening and three front pockets. This jacket is finished with a rubber Superdry logo badge on one sleeve. Throw on over any outfit for an extra layer of warmth.